Happy Eid to everyone who is celebrating Eid-ul-Adha. I hope you all have a great day with your families and friends, enjoying lots of nice food and receiving gifts. I went to a cake show in London this weekend with my sister and niece. I’m not much of a baker but I wanted to see all the creative designs that would be on show, and eat some delicious cake of course. And I can honestly say that I wasn’t disappointed! There were some amazing cakes, as well as other seriously delicious looking treats that were enough to make my mouth water. On arrival we were greeted with the huge, happy face of Roald Dahl’s BFG made entirely of sugar, with great colour and detail. There were cooking classes going on with famous tv chefs as well as general sessions to help create treats from well known brands, We didn’t join any of these sessions, preferring to take a look around the stalls. There was almost everything you could think of related to desserts on offer; from cake embellishments and tools, to edible buys like cupcakes, macaroons, meringues and pastries. I thought some of the cakes on display were great and you could see a lot of time and effort went into making them. Available were kits and tips on how to make and decorate them as well as demonstrations. The biscuit Eiffel Tower was impressive as was the level of detail that seemed to go into some of the sugar craft pieces. As we wandered we tried some samples and brought some tasty goodies, trying not to get carried away and buying one of everything. We also boarded a red double decker bus set out for afternoon tea. There was also a cake and cupcake competition that the public could vote for so we walked the aisles wowed by the entries. The theme was myths, legends and fairy tales and there were some great creations. 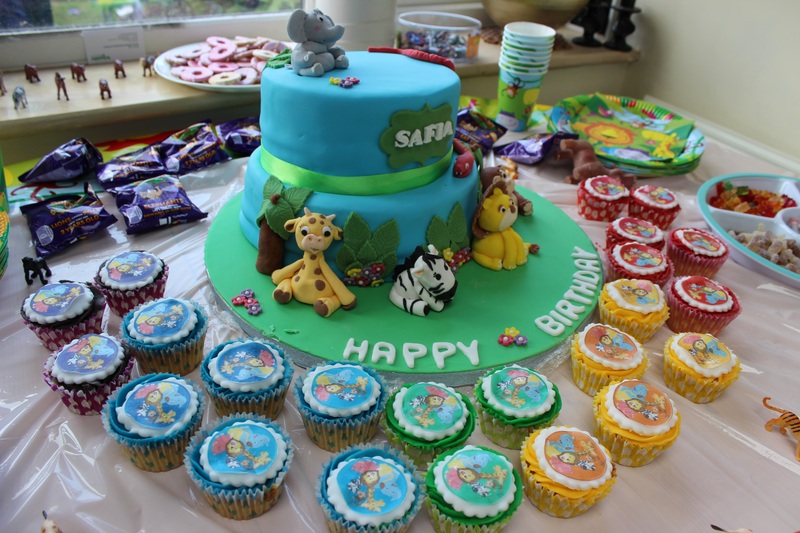 I think my favourites were the Frog Prince, the pretty peacock cupcakes and Disney cake. After spending most of the afternoon and too much money we headed home with delicious goods, dead batteries and weary but happy smiles. 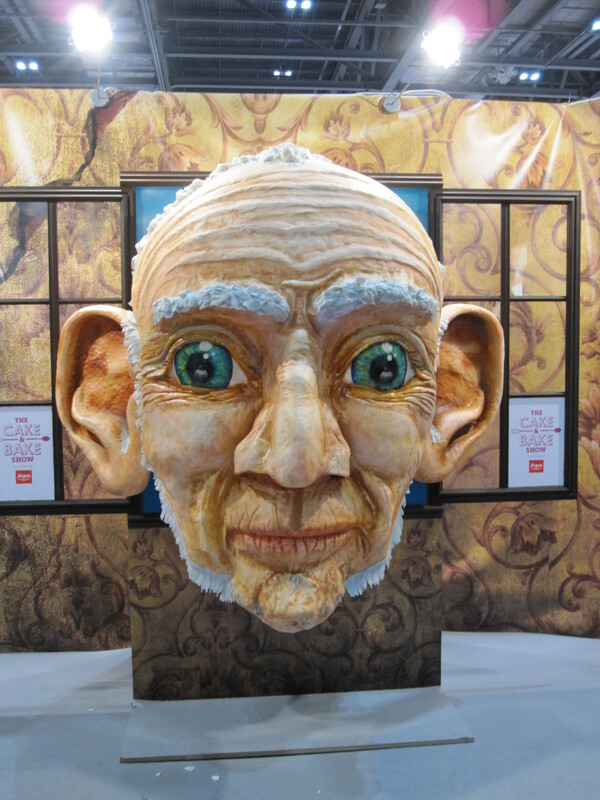 It was a great show and there was something for everyone, avid bakers or not. 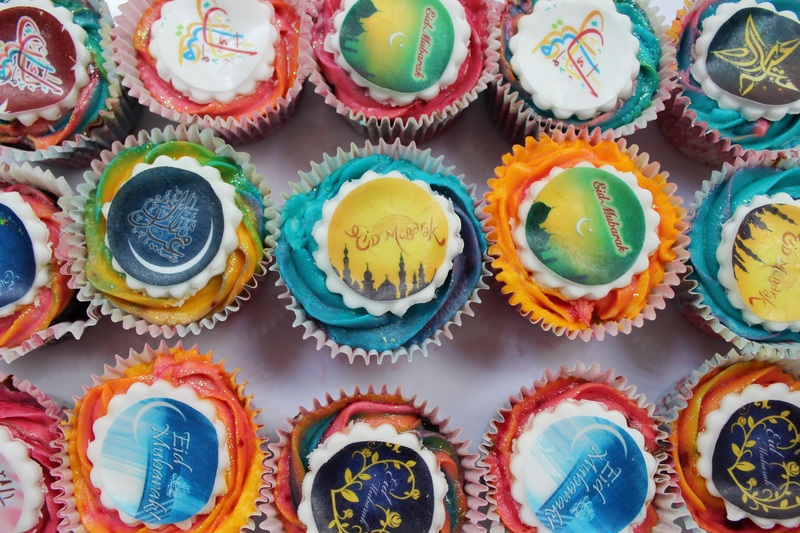 At the end of Ramadan we celebrate with a festival called Eid-al-Fitr with family, friends, good food and gifts. Evey year my sister, as an extension of this celebration, throws a Eid party for her friends. This year guests were asked to bring a dish with them for the party; whether it was a starter, main or dessert, my contribution being chocolate dipped strawberries. Guests brought with them an array of foods from different cultures and tastes that we all shared and enjoyed. With the addition of pretty outfits and accessories I can say that we all had a great time. 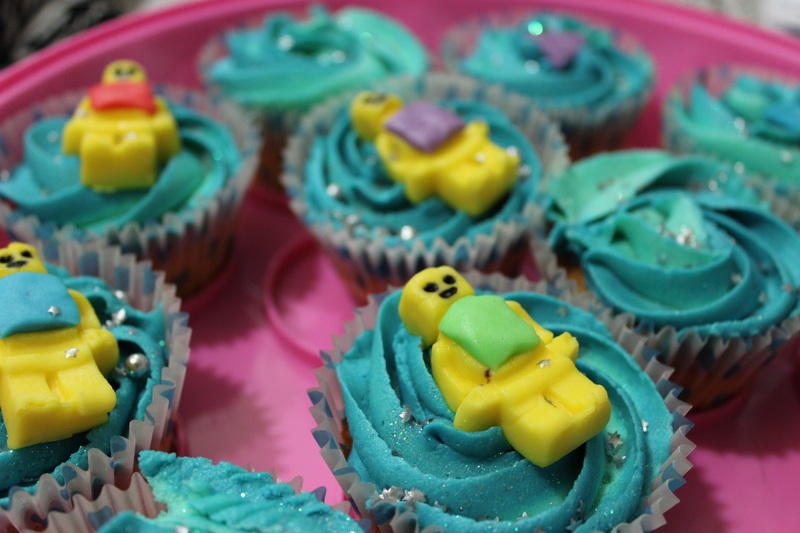 My sister made these cute cupcakes for my nephew for his recent party. I really like the bright colour contrast of the yellow and blue and I’m pleased to say that they tasted as good as they looked. It was my niece’s first birthday recently, and her mum (my younger sister) decided to throw her a birthday bash. The theme, in case, you haven’t guessed, was a very girly, pretty, ‘pink’. My sister, who is very talented in making cakes, made a beautiful birthday cake with matching cupcakes and biscuits, and if that wasn’t enough, she also had a sweet table with all things sugary and pink too. I thought the cake was lovely; I especially liked the ruffles in different shades and the sparkly tiara as a finishing touch. My niece received lots of presents and birthday cards from loved ones, and seemed to thoroughly enjoy her party. I pray that she has a happy, healthy, long life ahead of her. 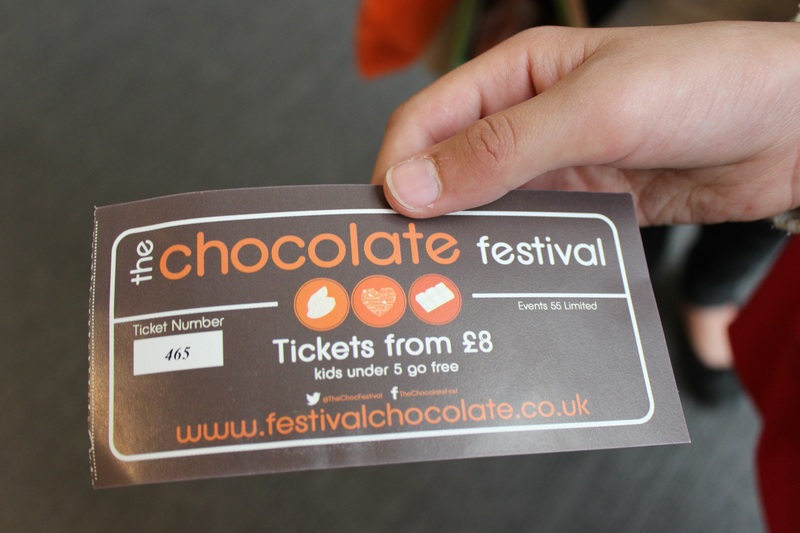 Just before Easter I went to a chocolate fair in London with my sister and niece. We were excited about all the possible chocolate creations we’d see and we weren’t disappointed! There was was a big range of beautiful and clever designs which were a treat for all our senses. Our favourite stall was one that had chocolate in various shapes and forms that we thought were really fun. I think what I really like about these are that they have been dusted with cocoa to make them look rusty. We also saw a collection of other chocolates in interesting (and slightly strange) shapes, from chocolate samosas to face prints. 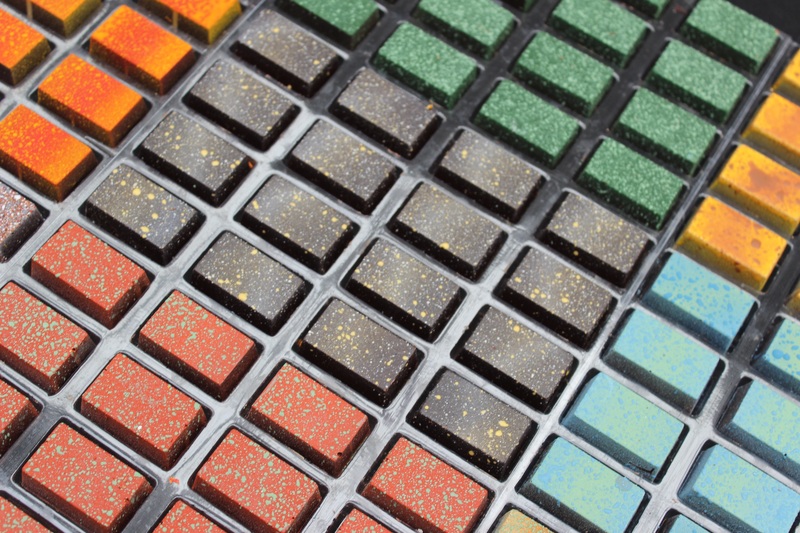 We came across other clever and pretty ideas too; chocolates named after Shakespeare’s leading ladies, elegant balls and textured cubes. Aside from chocolate there were so many other delicious looking and sweet smelling treats; definitely something for everyone. One of the best things was that we were able to have a taste of most of the products before buying, and we didn’t hold back! We all really enjoyed the day, taking photos of all the lovely things to buy and taste. We bought home a range of goodies for ourselves and for family whilst trying to not to be tempted to buy one of everything! I still have lots more photos but I’ll have to post about them another time. I would definitely recommend going to a chocolate festival for those with a sweet tooth and a love of eye candy. I’m currently thinking of going to the one that’s being held towards Christmas to see what other fun ideas that might be presented. In South Asian culture the bride traditionally wears red on her wedding day and in keeping with this tradition my sister spent weeks designing her outfit. She decided to make her oufit in a deeper shade of red but to make it look more modern and show some of her personality she added stripes of bright colours at the hem of her skirt and around the edges of her scarf. All the preperations leading up to the wedding were really stressful, but it was worth it, as on the day everything went well and the bride and groom looked happy and seemed to enjoy the day, with everyone else looking like they were having fun too. I wish them both well amd may they be really happy together and enjoy the adventure that lies ahead of them. 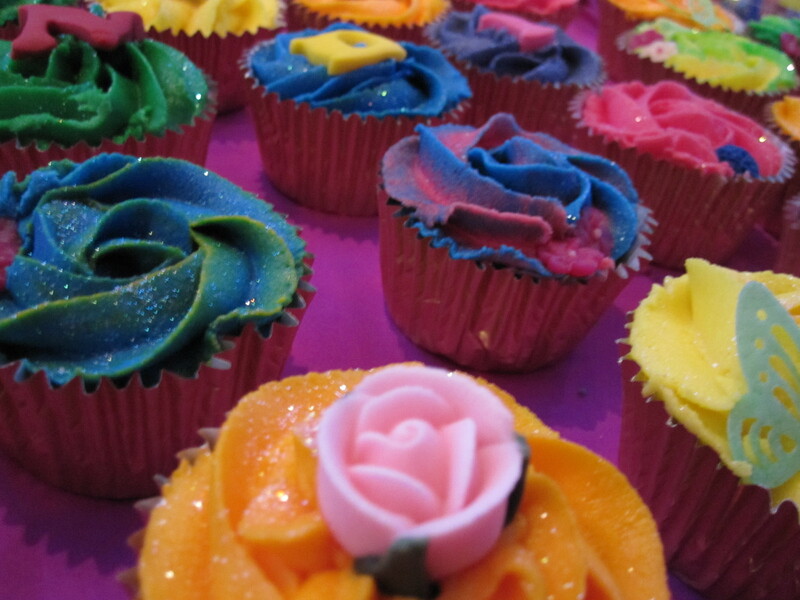 My sister has become quite talented at making cupcakes, all she needs is to be told what colours you want them in. 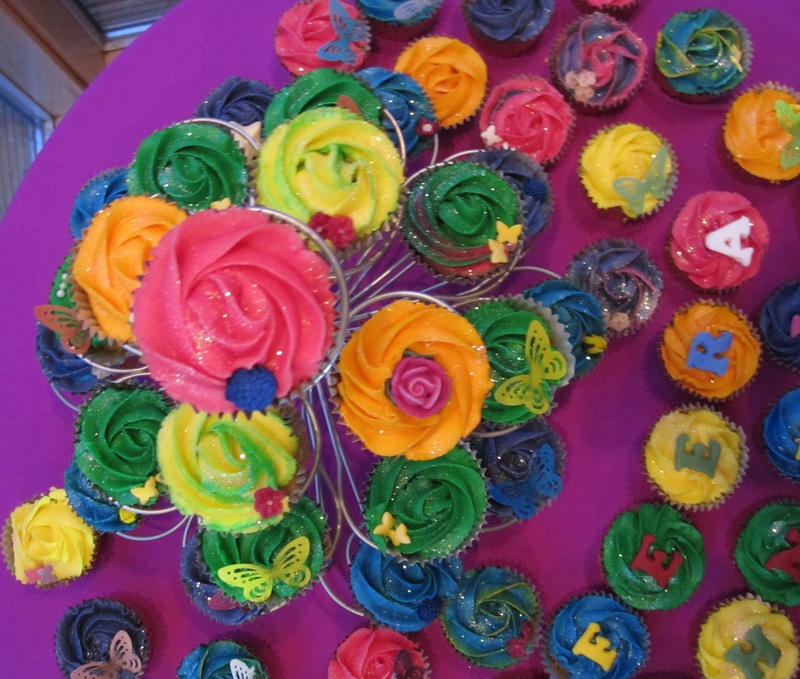 These bright and colourful cupcakes were made for a henna party recently.